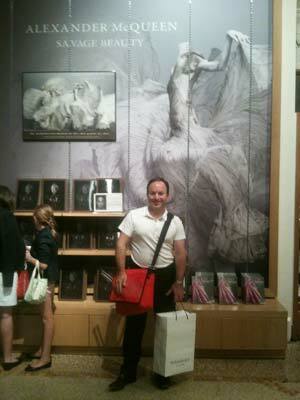 July 2011-Having spent most Friday evenings this year drawing at the Met with artist/teacher Tatyana Zhurko, I did not plan to list all the exhibits I have seen at the NYC museum this year for my Travelogue having become a museum member this year for the first time. 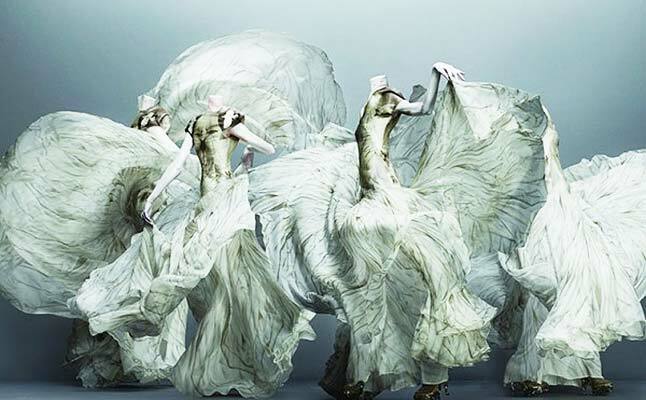 However, in August when lines reached 2-4 hours trailing down 5th Avenue for the Alexander McQueen exhibit, Savage Beauty, becoming the 7th most attended show in Met history, I thought an entry would be worth including. 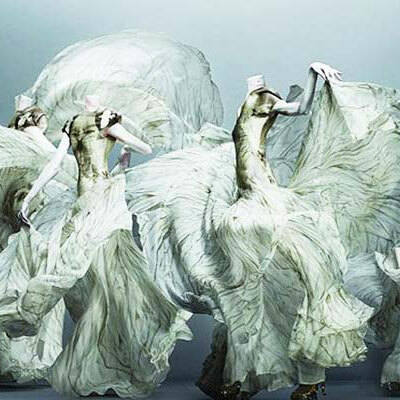 I will also admit to already knowing McQueen's work and to own a piece or two having followed fashion over the years. To that end I’m happy to park my car next to Bergdorf’s each week to walk up Madison to 82nd street window shopping and ducking in and out of shops on my way to class. That said, although I thought the theater of the museum display did not do the works justice as art pieces, I certainly enjoyed learning more and admire McQueen's artist heart and his convictions to push his work to relevance as an artist of our times. The artist’s fashion shows became more performance pieces than simple runway events. For me, his mirror cube show was the most poignant illustrating the artists awareness of our culture’s sometimes skewed definitions of image ideals in our collective dance for roles we play, caught up in life’s machine edging on folly, towards the hope of beauty. I was also grateful the exhibit could draw such numbers into a museum and hoped everyone looked right and left on line to view all the other masterpieces there to see every day. Entrance on the inside corner of building & additional parking lots in the rear.